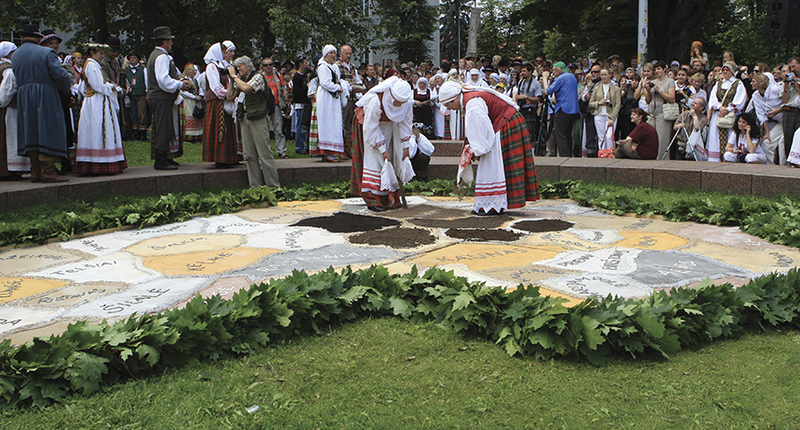 The theatrical concert of the Evening of Ensembles is an improvised journey throughout Lithuania visiting every ethnographic region – Aukštaitija (Higher Lithuania), Dzūkija (Southeast Lithuania), Suvalkija (Southwest Lithuania), Žemaitija (Samogitia), the Klaipėda region and dedicating a separate part of the concert to each of the regions. 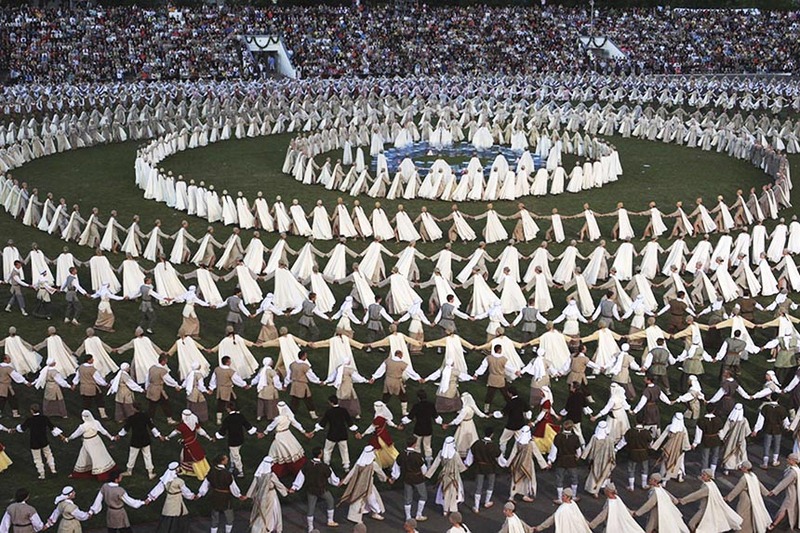 Our ancestors bearing thousand-year-old names and symbols – the Prussians, the Sudovians, the Curonians and the Selians – will knock at our memory’s door. 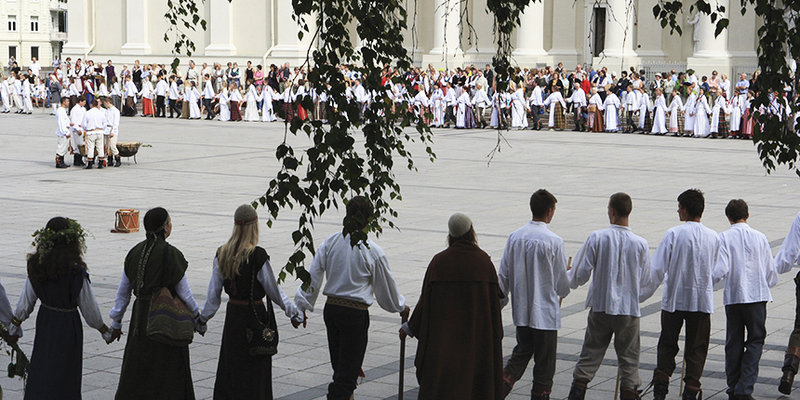 Three thousands of participants – song and dance groups, folk instrumental ensembles and orchestras, folk music kapellas – will create a spectacular show, reflecting the Lithuanian cultural diversity and uniqueness of songs, dialects, costumes, music instruments, dances and games. 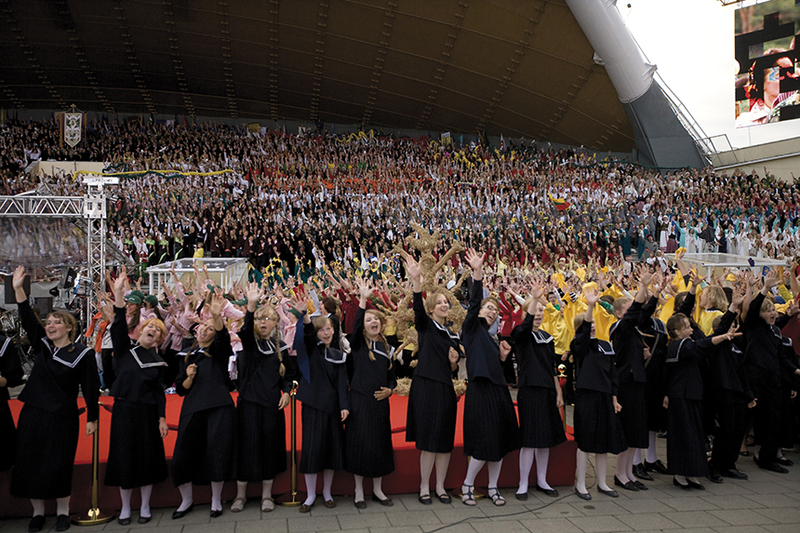 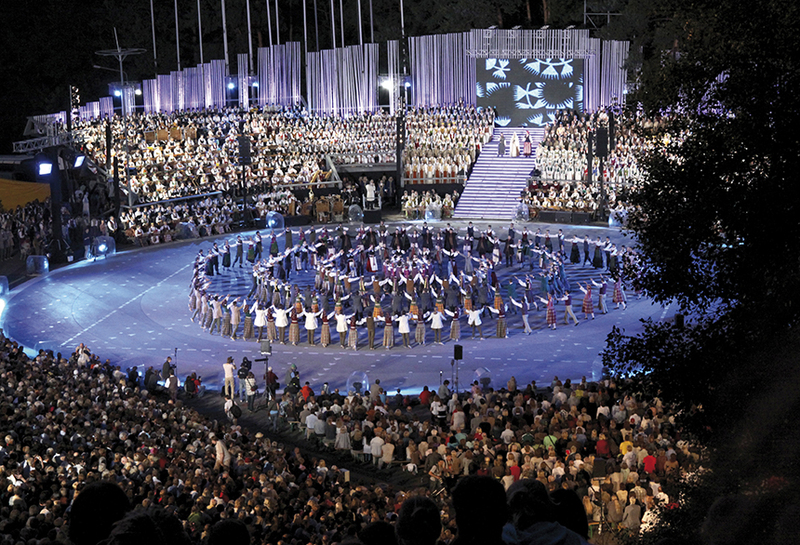 The entire performance will be held in a sacred place, where the State of Lithuania – our home – was born.